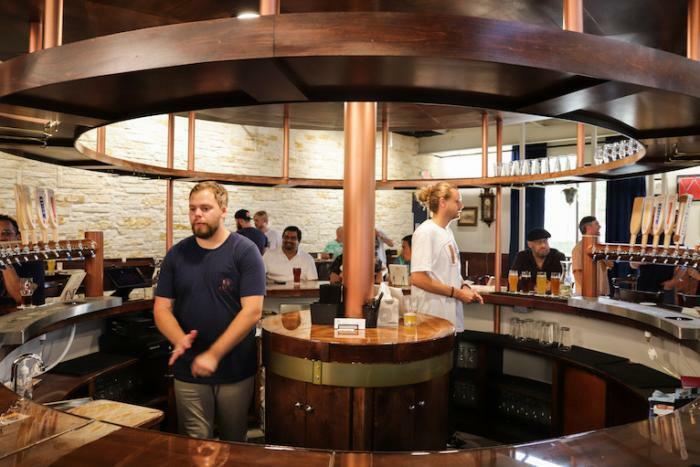 Celis Brewery will hold its Grand Opening Tuesday, July 11, to mark the official return of Austin’s first craft brewery. 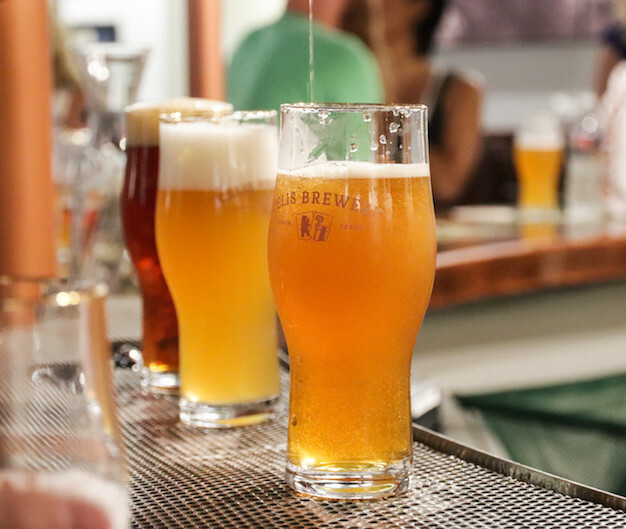 Originally founded by famed Belgian brewer and Christine’s father, Pierre Celis, the party is scheduled 25 years to the day of the original’s brewery’s grand opening in 1992! 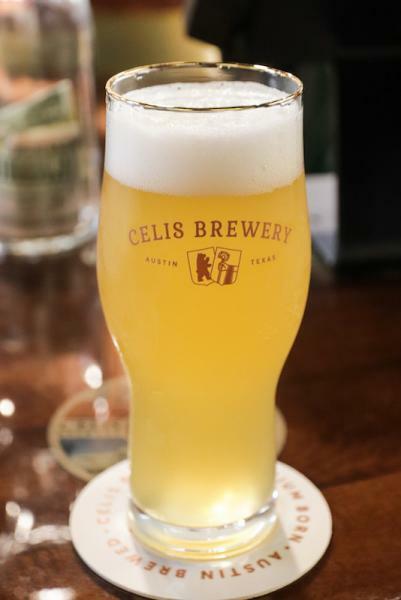 Celis Brewery in Austin, Texas gained national and international notoriety way back in 1992, years before craft beer was anything like what it is now. 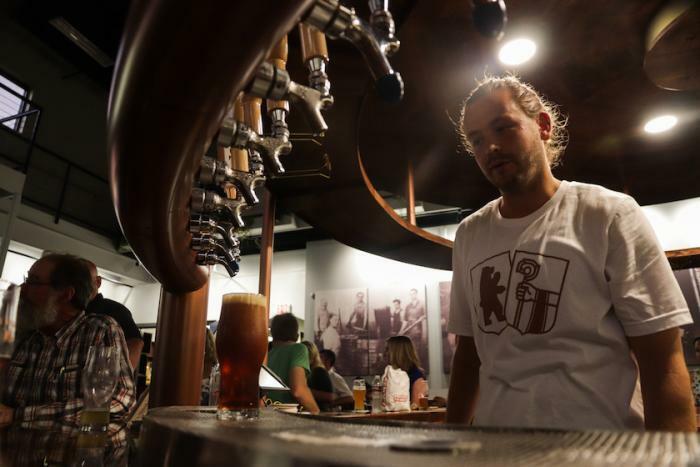 The beer that put Pierre Celis on the map was his heavenly Celis White, a Belgian witbier. Pierre Celis grew up in the village of Hoegaarden, a village that had been known for its witbiers since the Middle Ages. But by 1957, the last local witbier brewery closed its doors. Pierre Celis, a milkman who had grown up next to the brewery and sometimes helped with brewing, decided some years later to try to revive the witbier style. Using the traditional ingredients of water, yeast, wheat, hops, coriander, and dried orange peel known, Celis had figured out how to brew the most perfect of witbiers. Demand for the product continued to grow through the 80’s, prompting Celis to buy a factory to expand his brewing operations. After a fire in 1985, several brewers offered their help — including one of the largest in the country: Interbrew (know known as InBev). Interbrew loaned money to Celis for to rebuild the brewery. 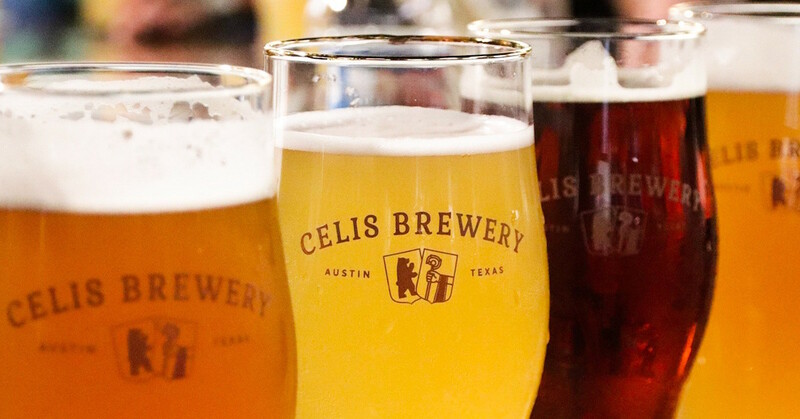 Instead of caving into pressure from the big guys, Celis sold them the brewery and moved to Austin, Texas to start up Celis Brewery. He planned to continue right along with his brewing and used his original Hoegaarden recipe. I first met Pierre Celis’ daughter, Christine, back in early November at the grand opening of Mort Subite, Austin’s Belgian beer bar. 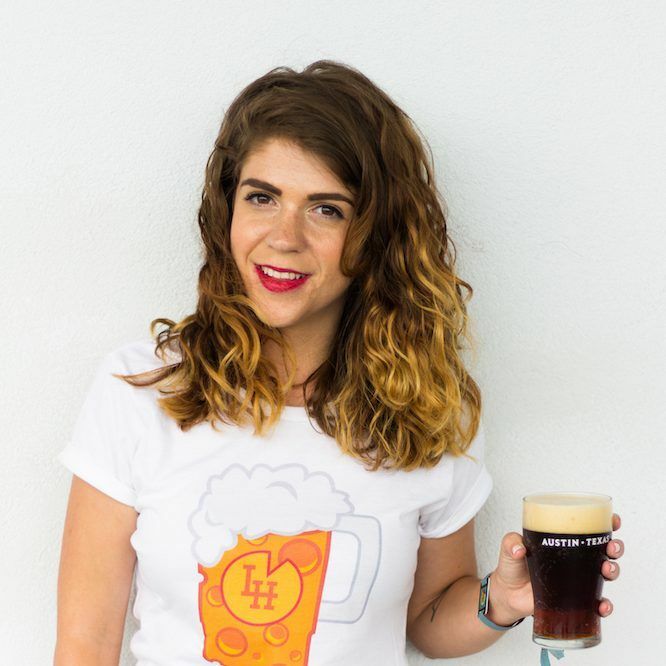 I was still fairly new to Austin, and had just started gaining traction writing about craft beer. So needless to say, I was blown-away after she told me the story of her family’s history and its place in this city. Touring Celis Brewery with the Queen herself, Christine Celis. If you need to be brought up to speed, Christine’s father, Pierre Celis is the legendary, “Father of Witbeir” brewer. 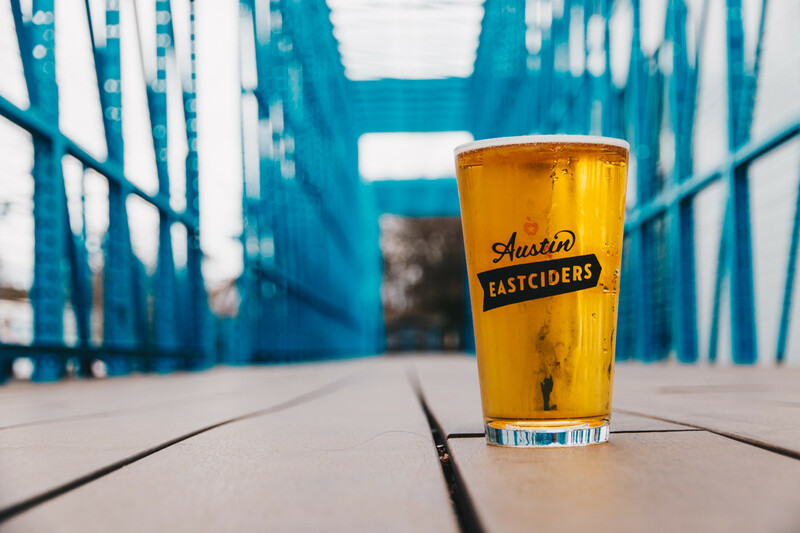 It was his Belgian-style Celis White, originally brewed in Hoegaarden, Belgium, that introduced craft beer to Austin, Texas in 1992. 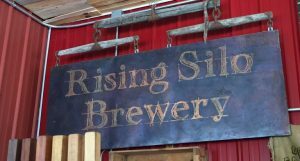 The brewery grew fast, but unfortunately was sold to Miller Brewing Company before closing its doors in 2001. When I first heard this story, Christine didn’t yet have the rights to use her father’s original brewery name (and her family name for that matter!). At the time she wasn’t feeling too hopeful but was happy with her plan to name her brewery, Flemish Fox. Since we first spoke last fall, she finally found that success and won the rights to use her family’s name. 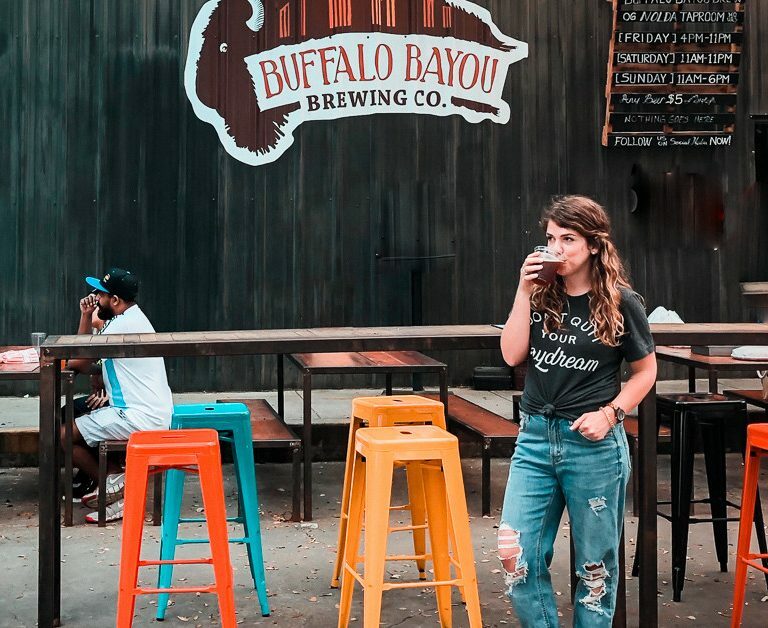 In doing so, Christine Celis worked hard to bring her father’s brewery and his Belgian-style craft beers back to Austin in a way no one had imagined. 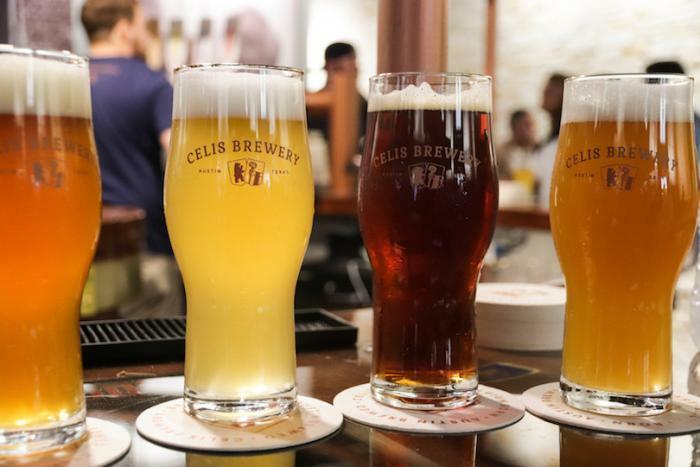 For the event I attended in June, there were four showstopping Celis beers up for the drinking. They each were heavenly on their own, but there were two that stood out for me. They were the type of craft beers that you wouldn’t mind having to drink for the rest of your life. No, no, not at all.. The legendary Celis White, known as the “Father of Witbier” was first brewed by Christine Celis’ father back in 1965. 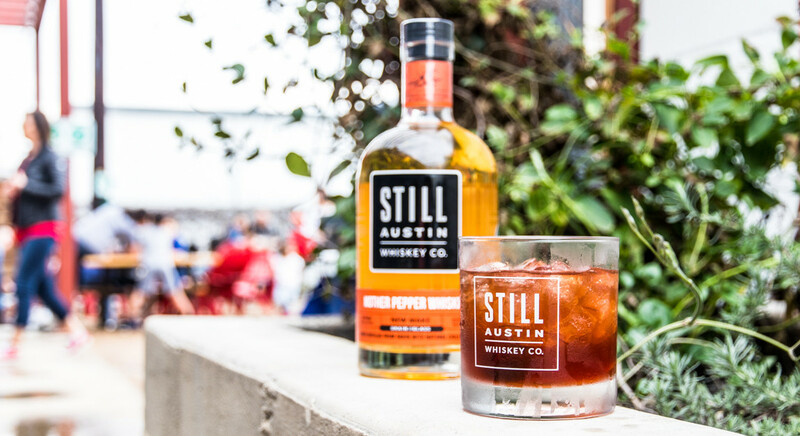 The return of the brewery also means, much to the delight of Austin craft beer drinkers, the return of this flavorful, ‘perfect for any occasion’ craft beer. The classic witbier is made with the original Celis recipe including Cascade, Saaz and Willamette hops, coriander and orange peel, as well as the proprietary yeast strain from Belgium. Celis White is completely recognizable against any lineup. It’s a unique, hazy bright yellow and just one sniff is a punch of citrus and spicy fruit, straight in the face. This beer is perfect for summer, and I say that a lot but I strongly feel this beer was destined for summer, daytime drinking! Christine Celis has revived her father’s Belgian Pale Bock recipe with the same amber color and rich flavors as the original. Or so I hear! Either way, the Celis Pale Bock is pretty much my perfect, ‘dream’ beer. It’s brewed with caramel malts, and Saaz, Willamette and Cascade hops, giving it a deep copper and a creamy Belgian-white head. Celis Brewery will introduce more beer styles throughout the fall, but next is the Celis Grande Cru. I’m excited to see what Christine, her daughter, and the rest of the Celis brewing team gets into. Though, I have a feeling that we’ll always be on the edge of our seats, just waiting for another release. 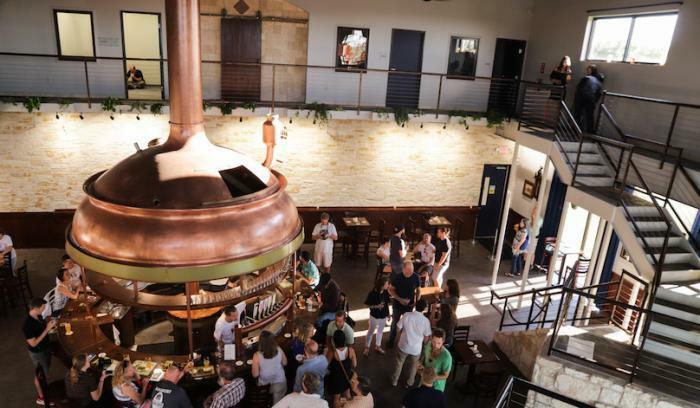 I was fortunate enough to be one of the first people to see inside Christine Celis’ highly-anticipated 22,000 square-foot brewery in North Austin. And was it a magnificent brewery or what! I think I can speak for everyone when I say, we were blown away! 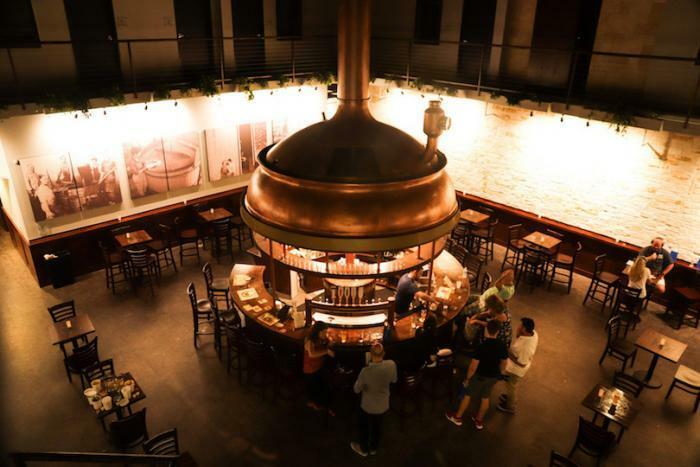 The brewery’s taproom has an eye-catching centerpiece: the original Celis Brewery’s hand-beaten copper kettle from the early 1900s! And the eye-catching equipement doesn’t stop there. Celis Brewery were also excited to show off their advanced 50 HL BrauKon brew system, some of the original equipment from Belgium. The brewery is committed to the same stringent consistency and quality protocols that brought the original brewery such popularity. That’s the exact reason why Christine has built a incredible team of craft beer power players. 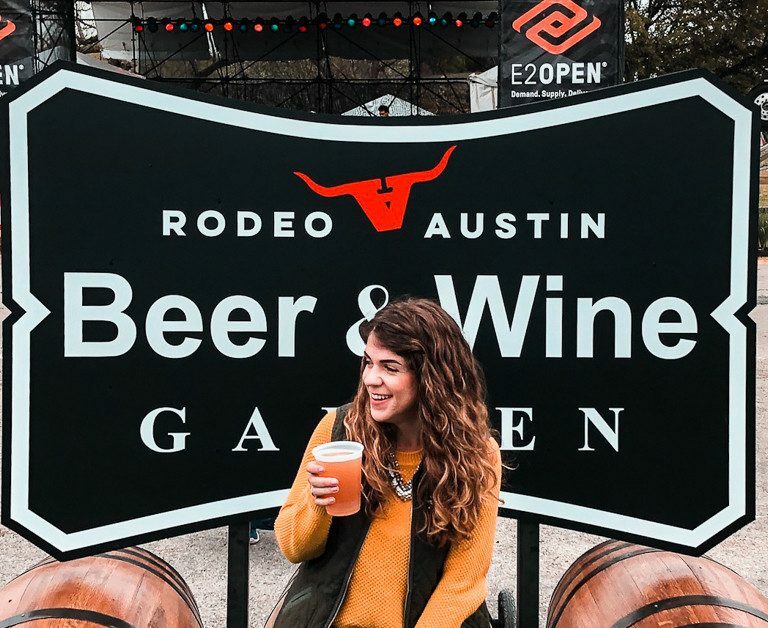 She leads the team which includes head brewer, Craig Mycoskie, from Rahr & Sons Brewing Company, and brewer, Christine’s daughter, Daytona Camps. 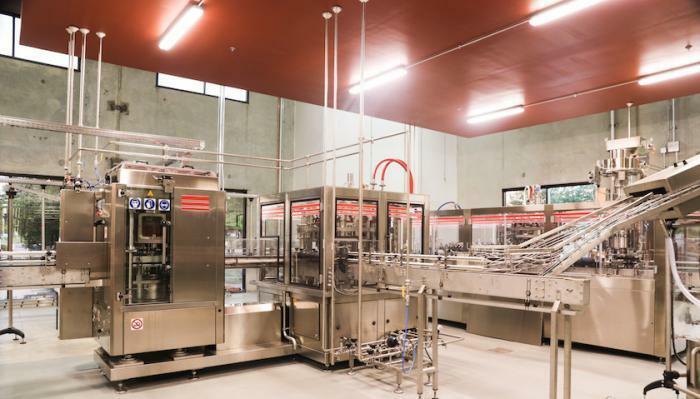 The brewery was designed for efficiency by brew engineer Bert Van Hecke, who brings more than a decade of brewing experience in. The brew system was modified specifically to use old Belgian brewing techniques. We even got to meet the Chemist who was in charge of the brewery’s QA, he had a PHd., so I’m most certain we can expect nothing but top-quality brews from this brewery! Christine and her impressive equipment, making brewers everywhere a bit jealous. One of the original Celis Brewery employees. 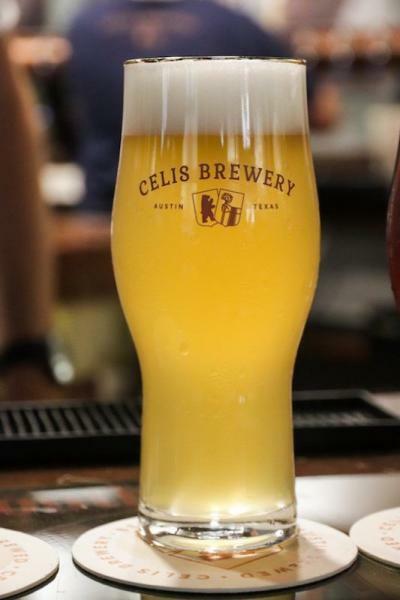 Celis Brewery beers are now available on tap at more than 100 bars and restaurants in central Texas. But I still considered myself blessed; Celis Brewery is located in North Austin. 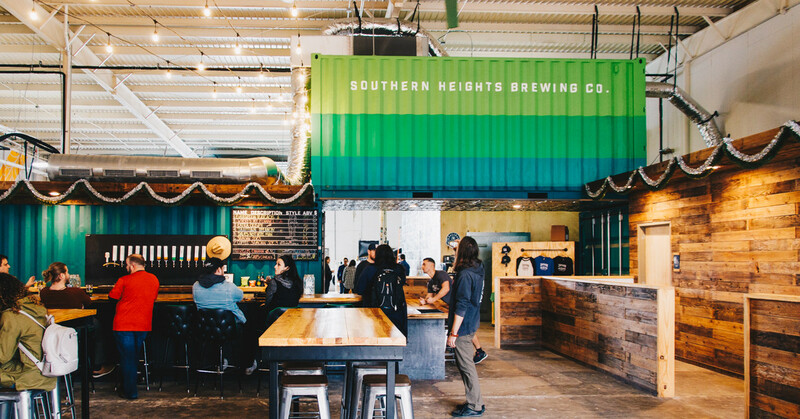 Right next to my neighborhood and many of the other great breweries calling this side of Austin, home. That shouldn’t matter for too long though: Celis beers will be available in bottles in retail locations in August 2017. And the team only has plans to expand more and more. They do have nearly two decades of catching up to do! 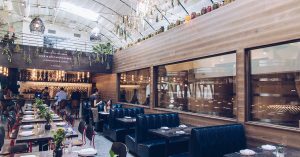 Availability will expand to Dallas Fort Worth in July, and San Antonio and Hill Country in August. So the rest of you Texans, yall get ready! 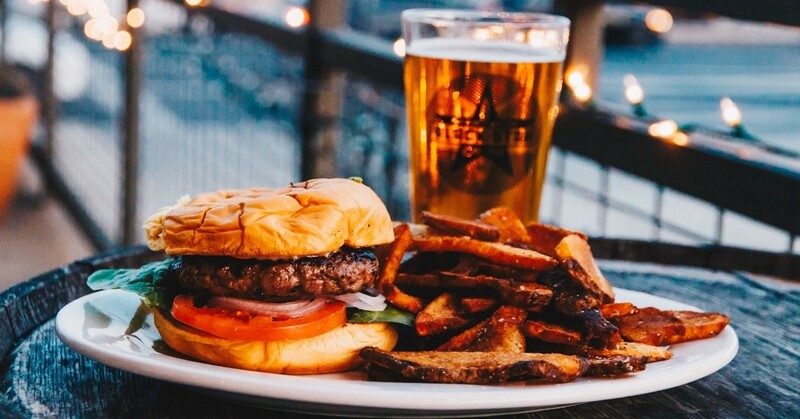 Stop for the great craft beer or the beautiful taproom, either way, don’t put off visiting Austin’s OG craft brewery! 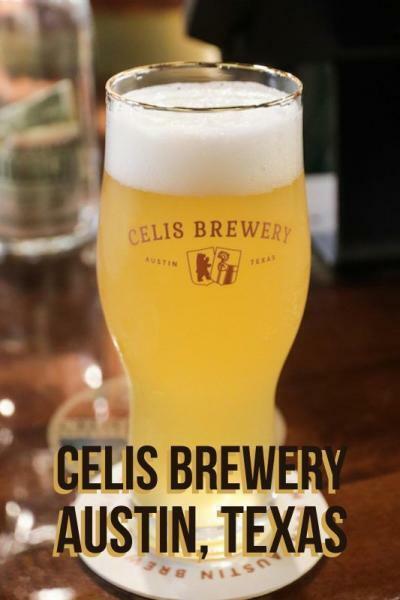 Pin this image to save for your visit to Celis Brewery in Austin, Texas! 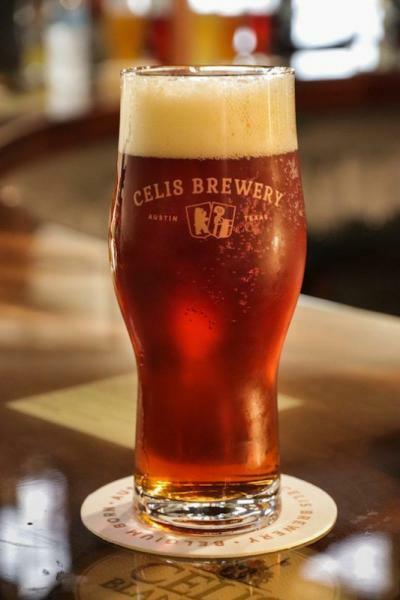 What’s your favorite Celis beer? Let me know in the comments! I have a feeling I’m always going to love that Pale Bock the most! What a fun history! I’m excited that they are back. 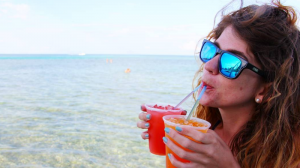 Love this post, Caitlin! I have to check this out someday…my family is also Celis.